Duane Thomson is Professor Emeritus, Department of History, Okanagan University College. His research area is with Indian-European relations in the interior of BC. He was a principal in the Living Landscapes project, a Royal BC Museum sponsored website devoted to presenting the natural and human history of the southern interior. For this project he published a Hudson’s Bay Company journal, archival records databases, and various census projects. He has published in BC Studies on Okanagan Indian adaptation to European incursion. His most recent research has been on preparing the Norman Lerman ethnology of Okanagan Indians for publication and conducting contract work on the mixed-ancestry population of north central BC for the Ministry of Justice. Marianne Ignace, PhD, is Associate Professor of Anthropology and First Nations Studies at Simon Fraser University, and an affiliated faculty member of the SFU Department of Linguistics. She coordinates and teaches in the university’s Aboriginal program in Kamloops. 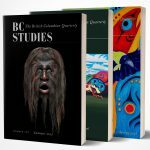 Her publications include a monograph on Haida social and symbolic discourse, The Curtain Within, and other works on Haida culture and language, an article on Secwepemc (Shuswap) culture in Vol. 12 (The Plateau) of the Handbook of North American Indians, and numerous other publications on Plateau and Secwepemc culture and history, as well as applied works on Aboriginal languages in British Columbia. Dr. James D. Cameron, Associate Professor of History, St. Francis Xavier University, Antigonish, Nova Scotia, Canada. His publications are in the history of Canadian immigration, multiculturalism, ethnicity, religion, and higher education. Dominique Clément received his Bachelor of Arts (honours) from Queen=s University in 1998 and his Master of Arts (history) at the University of British Columbia in 2000. He is on the cusp of completing his doctoral program in the Department of History at Memorial University of Newfoundland and is currently an instructor at the University of British Columbia. Fields of study include Canadian and Australian labour and constitutional history, social movements and Canadian legal history. His doctoral dissertation, entitled Rights in the Age of Protest: A History of the Canadian Civil Liberties and Human Rights Movement, 1962-1982, deals with the impact of the modern rights paradigm and rise of middle class reformist social movement organizations in the 1960s as a counterpoint to more radical transformative movements. He is currently a visiting scholar at the Centre for American and Canadian Studies at University of Birmingham in the United Kingdom.